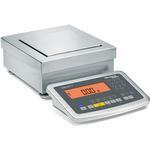 Intrinsically safe digital Signum Ex Scales for use in automated processes with approval for use in Zone 1 and Zone 2 hazardous areas, Division 1, 2. With capacities ranging from 0.001 g to 35 kg, these platforms meet the demands of the automated process industry for fast and reliable results, high precision, rugged construction, direct integration in control processes and network connectivity. 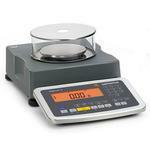 More info 7.1" x 7.1"
More info 13.7" X 9.7"
Intrinsically safe digital Signum Ex Scales for use in automated processes with approval for use in Zone 1 and Zone 2 hazardous areas, Division 1, 2. With capacities ranging from 0.001 g to 35 kg, these platforms meet the demands of the automated process industry for fast and reliable results, high precision, rugged construction, direct integration in control processes and network connectivity. 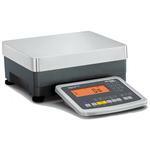 All precision Signum Ex Scales are equipped with monolithic weighing systems, built-in motorized calibration weights, integrated overload protection and electrical preload compensation. 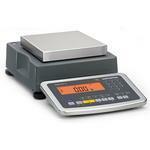 The power supply for this scales series has to be ordered separately! 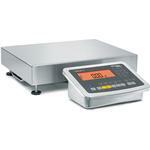 Industrial scales for sophisticated weighing tasks, extremely rugged and resistant. For Ex-zones 2 and 22. IP65 protected. The manufacturers declaration is made in accordance with the newest EN 60079-15 standard, edition 2005 (with regard to protection type "n"). Note that the power supply all Signum Ex Series IS NOT INCLUDED and you must purchase separately either the YPS02-ZKR Safe area power supply or the YPS02-XUR Hazardous area power supply (requires installation by a licensed electrician). 5 inch dia 7.1" x 7.1" 7.1" x 7.1" 13.7" X 9.7" 7.1" x 7.1" 7.1" x 7.1" 13.7" X 9.7"